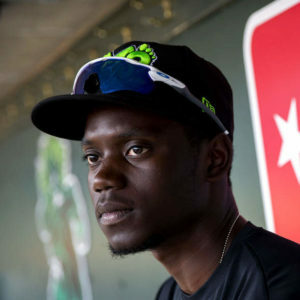 Chris Singleton is a professional baseball player in the Chicago Cubs organization as well as an inspirational speaker who has been featured on ESPN’s E:60, Sports Illustrated magazine, and USA Today. His mother, Sharonda Coleman Singleton, was murdered along with eight other victims at Mother Emanuel AME church in Downtown Charleston, South Carolina on June 17th 2015 by a racist white supremacist. Chris inspired his city and the nation by him forgiving the man who murdered his mother and stating that “Love is stronger than hate.” Chris inspires his audiences through his personal experiences of adversity and his belief that God can guide you through any storm you will ever pass. Speaking Topics: God Speaks Through Scripture / God Preparing You for Battles / Racism & Racial Reconciliation / Adversity / Forgiveness.